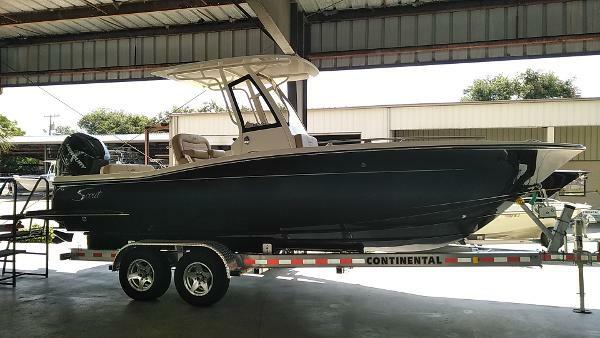 Sleek lines, innovation and high performance make this 235 XSF the hottest boat in its class. 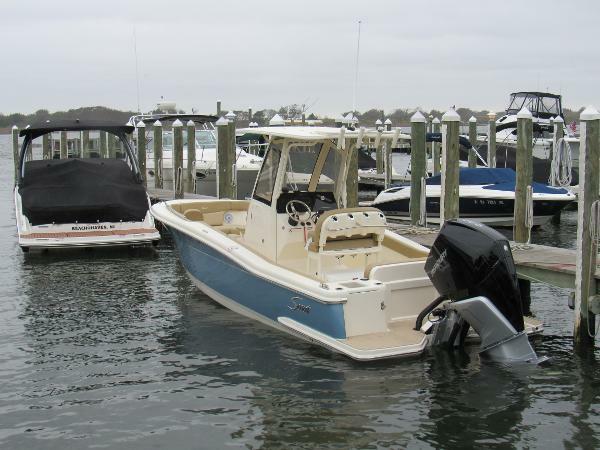 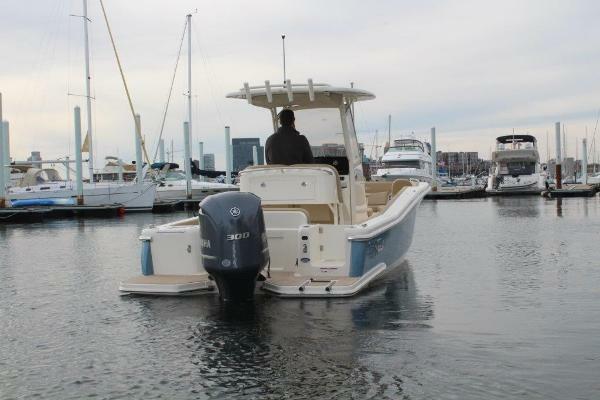 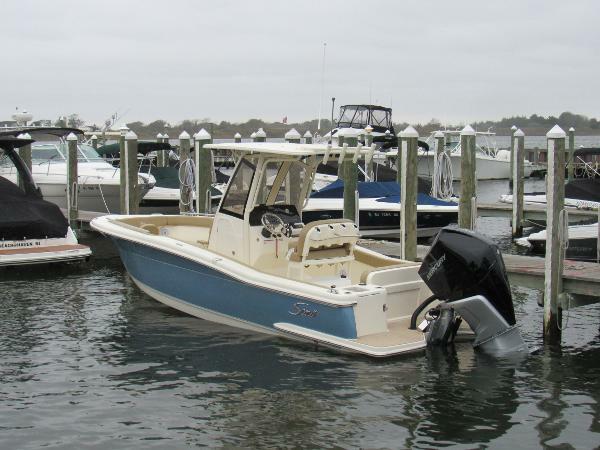 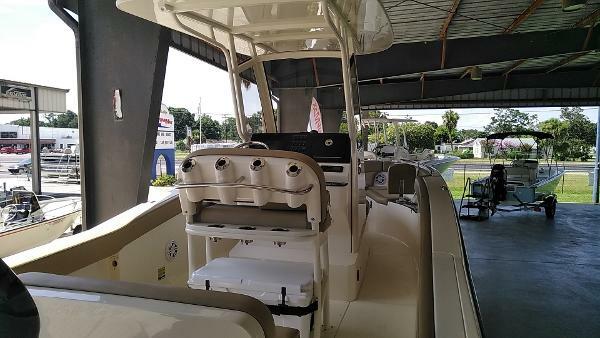 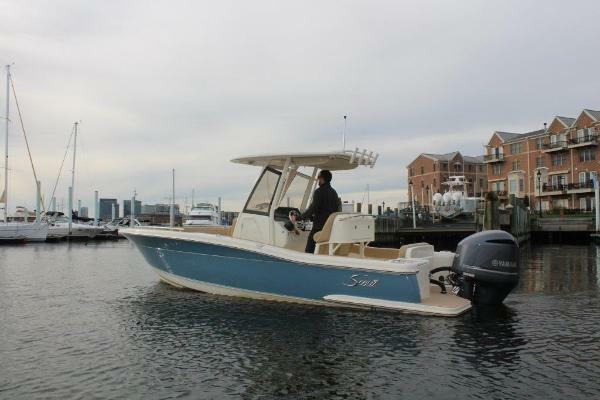 Built on our revolutionary NuV3 fuel efficient hull design, this forward seating center console model is ready for the open water, but will also save you money at the fuel pump. 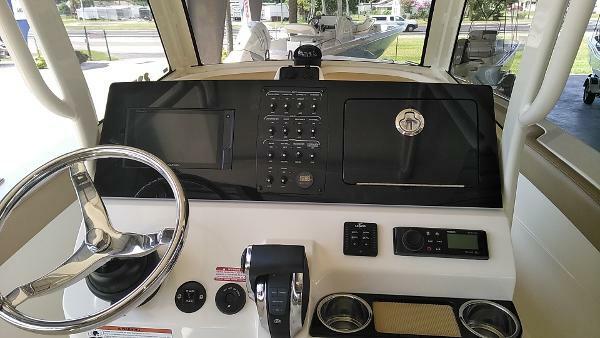 We’ve incorporated a longer outboard shaft so that we could do away with the transom splash well, creating a level full-access swim platform for safer access and use. 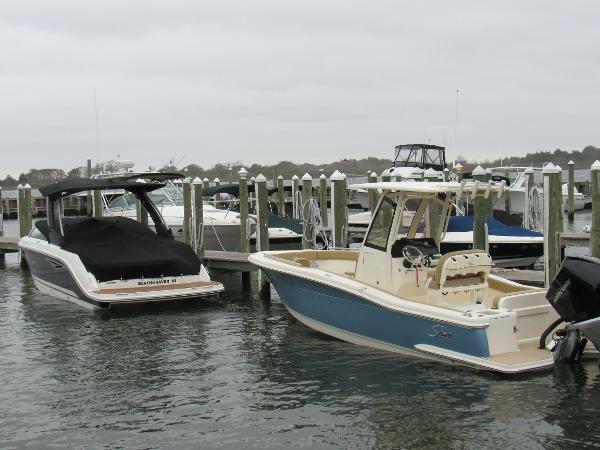 LED lighting – including rope lighting and unique underside hardtop lights that are perfect for illuminating the boat during pre-dawn, dusk or night excursions – fold-away stern seat, aerated transom bait well, forward lounge seating with fish / storage box and overboard pump out, powder coated elite leaning post w/ cooler, rod and cup holders are just some of the numerous standard features available on this model. 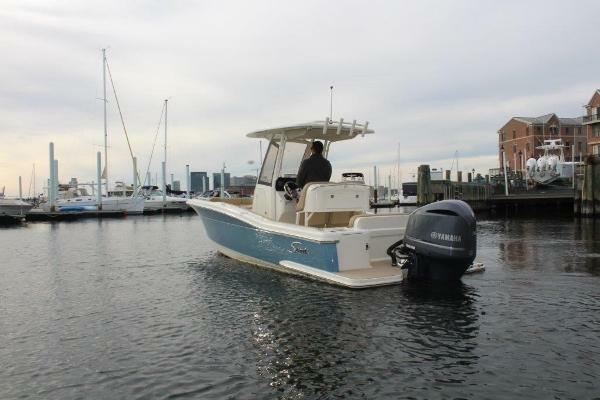 Seller SEVEN SEAS YACHT SALES, INC.